We are a few short days away from our 2-week vacation for Chinese New Year and I can’t wait! A very generous coworker offered up his timeshare in Phuket, Thailand so we will be spending a week there and also taking some time to visit Macau. This will be our second trip to Thailand this year and as it quickly approaches I’ve been reminiscing about the trip we took to Hua Hin back in October. During the first week of October, much of China went on vacation as the country celebrated Golden Week. Golden Week is celebrated every year from October 1st to 7th to commemorate the founding of the People’s Republic of China. During this week-long holiday, millions of Chinese tourists travel both within and outside of mainland China. 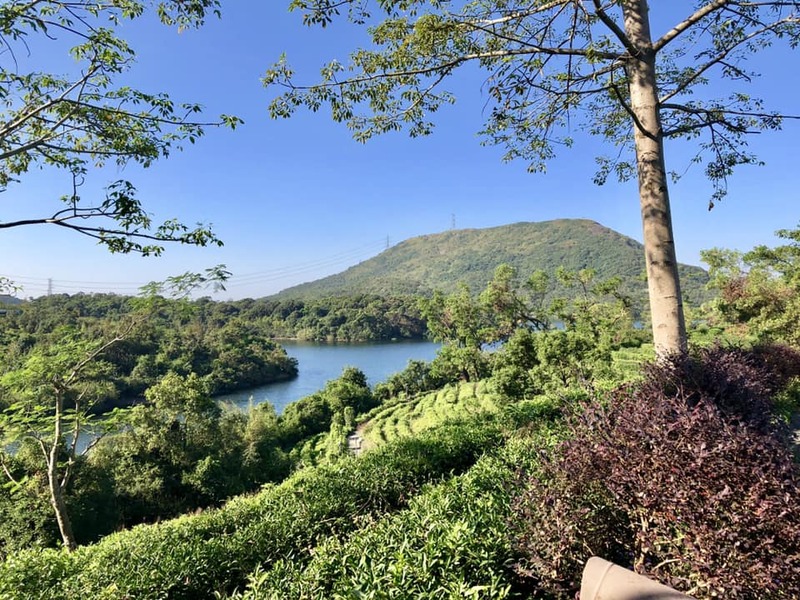 Since we had only been in China for a few months, we had originally planned to stay local and play tourist in and around Shenzhen. There is, after all, A LOT going on in a city of more than 10 million people. But the more we started talking with our more knowledgeable co-workers who’ve been in Shenzhen for a few years, the more we learned how difficult it would be to get around during Golden Week. With close to half the population on the move, traffic congestion chokes the flow of nearly all transportation options. It already takes us close to an hour to get the main districts of Shenzhen. Throw in a few million additional visitors and that time doubles, triples, or even quadruples. We realized that if we wanted to do more than binge watch Netflix in our apartment all week, we had better leave the country. I talked to a lot of people and spent several hours researching vacation destinations and we finally settled on Thailand. I was able to find a vacation package to Hua Hin that fit our travel budget, which was pretty lucky considering how late I booked it. We left Shenzhen early on Sunday morning in order to get to the airport in Hong Kong on time. Since it was the first time we’d gone from Shenzhen to Hong Kong and I was worried about getting to the airport on time, we hired a driver to take us there. It cost 900 RMB (about $130 USD) and it took a lot of stress and pressure off. We had a comfortable ride to the airport and got there with plenty of time to spare. We flew to Bangkok which only took about 3 hours, but once we arrived we had another 2 plus hours to go before we arrived at our resort. When I booked the trip, I also booked a van to take us from the airport to the resort. There were probably other, cheaper ways we could have gotten there, but this was the easiest, most hassle-free option. After a nice nap in the van, we arrived at the Novotel Hua Hin Cha Am Beach Resort and Spa. Although it wasn’t the most luxurious resort you can find, it was perfect for our family. The room had a king bed for Brad and me and bunk beds for the kids. The pool had a large water slide that the kids wanted to spend the entire day on and there was also a kids’ activity room with games, a ball pit, and comfy chairs for mom and dad to relax in. Although we were about a 25-minute drive from the city of Hua Hin, it was easy to get there by taxi. When we wanted to go into Hua Hin, we just had the concierge call us a cab. We spent one afternoon lazily exploring a few things around Hua Hin. We went to the Bluport mall for lunch, took a songthaew (which is basically a pick-up that has 2 bench seats in the back) to Khao Takiab, also known as Monkey Mountain, and wandered around the Night Market in the evening. We spent a day playing in the pool and wandered the streets outside of our resort in the evening. We discovered a number of spots to get inexpensive massages and manicures. The next day, Hadley and I went to get our nails done while the boys played video games and later Grady and I went for massages while Hadley and Brad played in the pool. Perhaps the best part of our trip was our visit to Wildlife Friends Foundation Thailand. I had read about their organization before we went on our trip and scheduled our visit with them a few weeks in advance. On the day of our visit, a shuttle picked us up at our hotel in the morning and drove us out to the sanctuary. Once we arrived, we were given a brief introduction to the work the foundation does and the problems of animal tourism. Then we were given a tour of the facilities and were told a number of stories about the animals that now reside at the rescue center. After a lunch, we had the opportunity to feed and bathe one of the elephants. Then we saw more elephants before heading back to our resort for the evening. For our final outing, we went to visit the Hua Hin train station, which is an amazingly picturesque spot and makes you feel like you’ve stepped back in time. After watching a few trains come and go, we made the mistake of taking a songthaew back to the resort because there were no taxis in the area. About halfway back to the resort, a massive rainstorm unleashed its full fury on us. We arrived soaking wet but alive. On our final day, our van picked us up in the morning and dropped us off at the airport in Bangkok a few hours before our flight departed. We arrived safely in Hong Kong where we had a few more adventures (and the kids had a few meltdowns) before we got back to Shenzhen the next day. We loved our visit to Thailand and are so grateful we get to go back!